Cool! 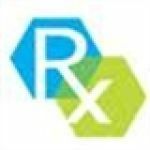 Save an average of 20% on RxSkincenter with 30 Coupon Codes, and 8 Deals! Carrying thousands of anti aging skin care products including Murad, Skinceuticals, PCA Skin, Jan Marini, Jane Iredale & Skin Medica. Details: Save $10 Off your order of $50 or more! Details: Save $20 Off your order of $100 or more! Details: Save $15 Off your order of $75 or more! Details: Save 20% off store-wide. Details: $25 Off Your Order of $125 or More. Not valid on IS Clinical, Jan Marini, or PCA SKIN®. Details: Get up to 59% off great quality skincare and hair care products now at RxSkinCenter.com. Limited time offer. Details: Save 20% entire order. Details: Save 25% Off your entire order! Coupon Code: madness at RxSkincenter. Details: Take 20% off your first order from onestopderm.com. Full line of IS Clinical products, Clarisonic brushes and more! Details: Save 14% on our entire inventory. Expires on 02/28/2014. Details: Save 15% off of your order. Offer valid with other discounts/coupons, enter code at checkout. Expires on 02/04/2014. Details: Save 19% off of your order. Enter code at checkout to apply discount. Free shipping on orders over $49! Expires on 12/09/2013. Details: Save 18% on orders. Expires on 03/03/2014. Details: Shop now and save 18% when you enter coupon code at checkout. Expires on 01/28/2014. Details: Orders over $49 will receive Free Shipping, detail provided in website. Details: Save 20% sitewide including clearance department items. Expires on 12/23/2013. Details: Free Shipping over $49, Rhonda Allison, Dermalogica, Skin Medica, PCA Skin, Glytone, Avene, GloMinerals, Tend Skin, Bioelements, Repechage, Nexxus, Redken, Purelogy and more. Details: 10% off all Cleansers and Acne treatment products. Plus save an extra $5 off of your order of $55 or more. Expires on 01/21/2014. Details: Save 25% when you order any Dermalogica or PCA Skin product. Discount is applied when you add items to your cart. Expires on 03/11/2014. Details: Save up to 50% on Clarisonic replacement brushes and PMD replacement discs with the Deal Of The Day. Deal good now through Monday December 9th 2013. Details: Take $10 Off on Neocutis Perle Skin Brightening Cream. Details: Get 20% Off on Lip Enhancing Complex.